ICV offers our Video Flypack rentals with our TriCaster 460 4-camera video production systems. 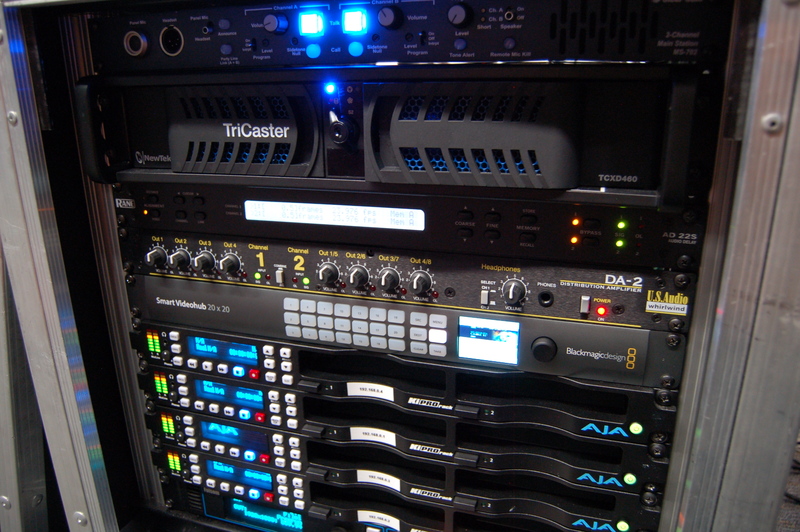 We have them outfitted with the advanced software giving you maximum flexibility in a live production setting. For live and on-demand programs create multi-platform productions to open up more revenue opportunities and extend your brand. Connectivity for 4 cameras. Video playback for full-length packages or short b-roll clips. Media bins for graphics and sound files. Network sources for sharing computer displays or any network source. And mix/effects to craft compositions and virtual sets from truly realistic to the most elaborate imaginable.